Kuwait's most famous footballing moment came in the World Cup 1982 which was their only appearance in the finals. Kuwait drew with Czechoslovakia 1-1 before losing to England and France in their group stage games. During the third match France scored a goal when the Kuwaiti players stopped playing having heard a whistle. The goal was awarded by the referee, who had not blow sparking the Kuwait playing to walk off the pitch in protest. Play was eventually resumed but only after the intervention of Sheikh Fahad Al Ahmed who walked down to the pitch to speak to the fourth official and the referee reversed his original decision to allow the goal. Not many people will know that five years prior the Kuwait National Team toured England playing West Ham United (behind closed doors), Wales, Brentford and Fulham as well as Enfield Football Club on Thursday 25th August 1977 at Southbury Road. The game against the Welsh was played at The Racecourse Ground, Wrexham and ended 0-0 on Tuesday 6th September. A few weeks later Wales played Kuwait in Kuwait City and it also ended goalless. Of the team that is listed for this game I am unsure how many made it in to the 1982 World Cup Squad. The game was won by The E's by 1-0 with Keith Searle on the score-sheet in the second half. Kuwait's 20-0 win versus Bhutan in 2000 was the biggest ever International Football Victory before Australia's 31-0 victory over American Samoa in a 2001 World Cup Qualifier. *note - it was claimed in 2005 that Fiji's 38-0 victory over the Federated States of Micronesia in the Pacific games had beaten this record but FIFA did not recognise it as an official International as it was between u23 sides. 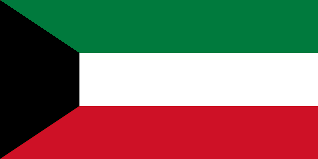 At present the Kuwait National Team is banned from FIFA and has been since October 2015. The ban is in place "because of government interference in the running of its Football Association".